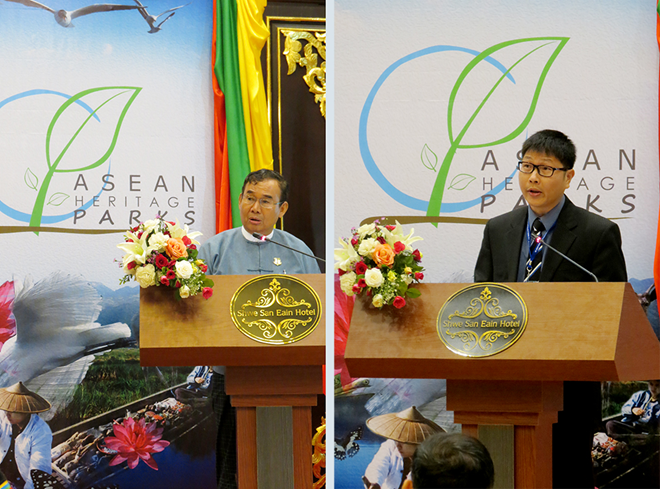 Jakarta (VNA) – The fifth ASEAN Heritage Parks Conference (AHP5) has been held in Nay Pyi Taw, Myanmar, according to the ASEAN Secretariat. Addressing the event which takes place from October 24-27, Myanmar’s Minister of Natural Resources and Environmental Conservation U Ohn Win highlighted the event as another milestone in the ASEAN member states’ efforts to conserve the region’s biodiversity and in promoting its sustainable use. ASEAN Heritage Parks constitute a network of 38 protected areas that encompass ecosystems and species that best represent ASEAN. As Secretariat of the AHP Programme, the ASEAN Centre for Biodiversity (ACB) facilitates knowledge sharing and skills building for AHPs, including the conduct of a regional conference every three years. According to ACB Executive Director Roberto V. Oliva, this conference is an opportunity to assess the progress of ASEAN’s efforts in effectively managing ASEAN Heritage Parks and addressing biodiversity issues for sustainable development. The conference saw the participation of main actors in the AHP Programme, including members of the ASEAN Working Group on Nature Conservation and Biodiversity, managers, key stakeholders and management partners of the programme. The conference included feature plenary sessions, breakout sessions, and a field visit to Inlay Lake Wildlife Sanctuary, one of seven heritage parks in Myanmar, according to ASEAN Secretariat.